The relationship between Kirk Cousins and the Washington Redskins front office has never been great, dating back to when he was still competing with Robert Griffin III for the starting job. Last year Washington placed the franchise tag on Cousins, preventing him from testing the waters of free agency, and this year, rather than offering Cousins a contract that could keep the quarterback in D.C. on its own merits, the team decided to throw the franchise tag on him again. Adam Schefter called the future of Cousins and the Redskins an “unprecedented situation,” given that Cousins is the first quarterback to ever play under the franchise tag for two straight seasons. 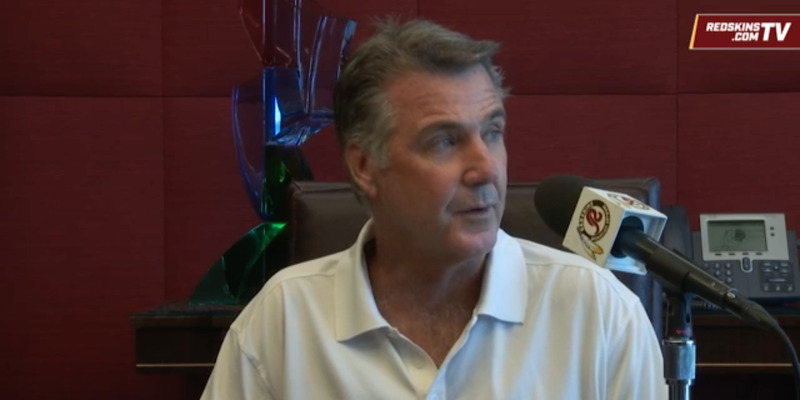 In an effort to explain why the Redskins weren’t able to reach a deal with Cousins, team president Bruce Allen appeared in a video for Redskins.com, where he said that Cousins is an important part of the team, but the Redskins made him a good offer and the two sides simply could not find middle ground. Allen would go on to make the mistake several more times throughout the video, as you can see below. For his part, Cousins seems undeterred by the slight, and ready to play football. 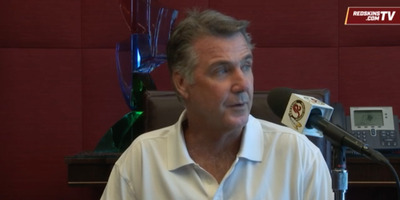 Despite what Allen said about the offer he made Cousins, the quarterback clearly stood to make more money in free agency in a league desperate for competent play from its most important position. Regardless of how Redskins fans end up viewing the standoff, Cousins is now in a position where he’s made a big bet on himself. If he has another year like he had last year and is able to stay healthy, he could become one of the highest paid players in the league.